We will walk-thru the areas you’re wanting to have cleaned, and properly evaluate your cleaning needs. At this time we’ll address any concerns you may have, and answer any questions as well. We can usually provide an accurate quote over the phone, but we will let you know what the final price will be before we start, so there will be no surprises. We will vacuum the carpet prior to cleaning to ensure we remove as much fine dry soil, and pet hair before we being cleaning. Many of our clients like to vacuum before we arrive, and that’s okay. We like to ensure the carpet has been thoroughly vacuumed ourselves so that we get the best end result possible. We will apply a biodegradable cleaning solution to the entire carpet to help break up the oily soils that have accumulated between regular cleaning appointments. At this time we’ll also address any special spots/stains with our specialty spotting products. We have the education and training on how to identify and remove many stains. There are times a stain may be permanent, however we have a high success rate at removing most spots/stains. We use our truck mounted carpet cleaning machine to rinse and extract the soil from the carpet. Our fresh water rinsing system features a water softening system. Using our fresh water rinsing system will leave the carpet clean, fluffy, and soft - it was also keep the carpet cleaner longer leaving absolutely no residue behind. We pride ourselves on our ability to get the carpet dry quickly so you can get back to normal life with little interruption as possible. We do multiple dry passes that remove excess moisture from the carpet, as well as use carpet drying fans to aid in the process. We offer carpet protect application after your carpet is cleaned as an additional optional service. Carpet protector creates an “invisible shield” that helps your vacuum remove the soils that build up over time. It also penetrates the fiber improving your carpet’s stain resistance. Upholstery and other furniture are often the most neglected items when it comes to cleaning. 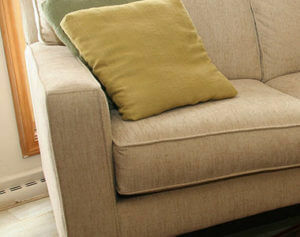 In fact, many people do not know that upholstery and furniture can be professionally cleaned. For home maintenance, a good vacuuming with a brush attachment helps to remove the dust and soil that settles on and into the fabric. If you want to see how soiled you upholstery is, take a clean white terry towel and place it over your vacuum attachment hose. Be sure to firmly grip it so that it doesn't get sucked into the vacuum. While the vacuum is running and the white terry towel firmly grasped, run it over the arms, seats, and back of your upholstery. If it leaves a dark ring on the towel it is a good sign to have it professionally cleaned. Upholstery fabric is thin and can require special cleaning agents to properly clean the fabric so that it doesn't become damaged. We can clean everything from common microfiber to more fine fabrics such as cotton. We recommend having your upholstery cleaned regularly to keep up with appearance and for better indoor air quality. 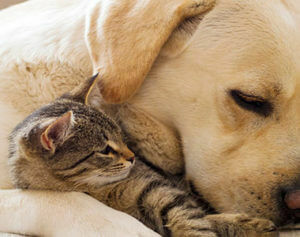 There are times during the carpet cleaning process where we run into pet odor and stains. Not to worry we do have the training and the right products to remove these types of issues. Urine is one of those things that if not dealt with properly that the stain will keep returning over and over again. When urine leaves the cat, dog, or animal's body it comes out neutral on the pH scale. After it has had time to dry it then becomes very basic on pH scale and that is where the ammonia smell comes from. The urine dries into a crystal so in order for the urine to be removed it requires a product that can break up that urine crystal and it needs a natural enzyme to start to digest the proteins in the urine as well. Where most homeowners fail is that they attempt to use store bought products that on compound the issue and do not really deal with urine at the molecular level. We offer two type odor removal treatment - topical and restorative odor removal. 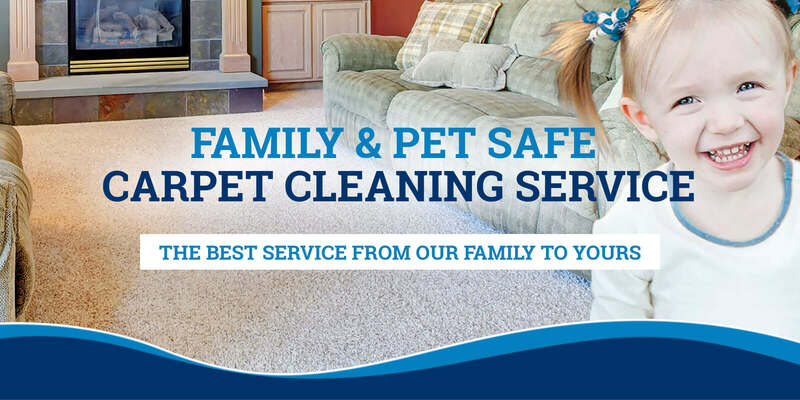 For our topical pet odor removal process we use a product that helps to break down the urine and urine salt crystals so that they can be more easily removed from the carpet. We apply the odor removal product topically and we allow it to dwell to give it plenty of time to work. We then take our sub surface extraction tool that allows us to remove the urine from the carpet padding, carpet backing, and the carpet face yarn. We'll treat the areas multiple times until we see that no more urine is coming out of the carpet. We then deal with any remaining staining with our specialty spotting products. Scott's Carpet Care commercial carpet cleaning for businesses and property management companies. We would love the opportunity to walk through and provide a proper analysis as well as a carpet cleaning maintenance plan that will protect your flooring investment. Regular carpet maintenance can extend the life of the carpet as much as 200% longer than average carpet life expectancy resulting in less expensive replacement costs. It is proven that the indoor air is exponentially more polluted than the outside air as it is riddled with dust, dirt, and bacteria we carry in from the outside. These pollutants sit and dwell within your carpet, office furniture and other textiles and flooring. Regular cleaning helps to manage the amount of dirt, dust, and bacteria that stays in your working environment. This can help to greatly reduce sick days with your staff keeping production higher. You've worked hard to build your brand and the condition of your office or property can easily create a good or bad first impression as prospects move around your office. Our carpet cleaning maintenance plans ensure your flooring is always looking it's best. A clean working environment helps employee and staff morale as well. Carpet and other flooring and textiles can be a hefty investment for any business. On average, carpet lasts about 5-7 years but with regular maintenance we've seen carpet last 50% to 200% longer. We want you to get more life out of your flooring and textiles so you can concentrate on running your business with the least amount of disruption. We do offer quantity discounts when we're cleaning large square foot amounts as well as cleaning more frequently. More frequent cleanings allow us to make the best professional decisions for your cleaning needs to fulfill and meet your expectations regarding some of the other benefits that we previously mentioned. We do have cleaning equipment and cleaning processes that allow us to clean buildings and areas that require all entrances to remain secure. The safety of your property and the need for security is at the top of our minds, and that is why we've invested in and developed special cleaning processes that give us stellar results but allow us to cater to all building / property sizes that may or may not have specific safety protocols in place.